Posted on 7th December 2018 at 12:26 pm. 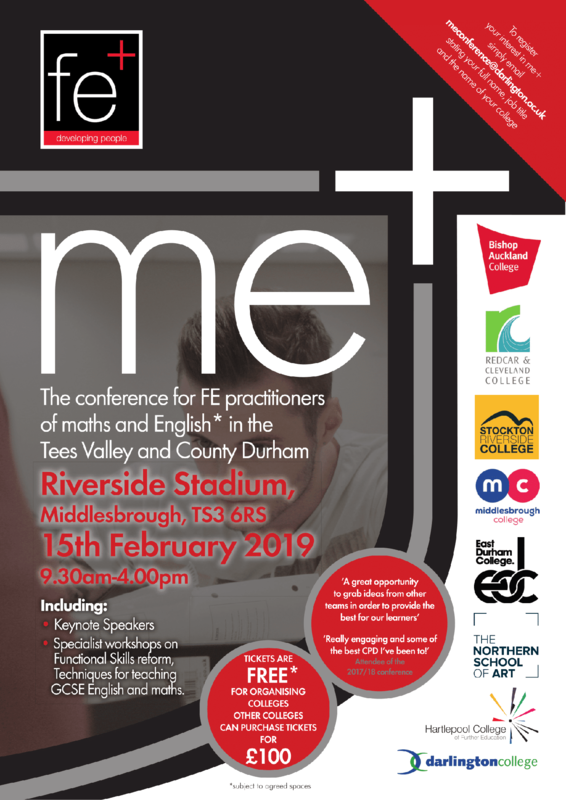 Join us on 15th February for our annual mE+ event at the Riverside Stadium. The only one of its kind, mE+ is a maths and English conference for practitioners working in further education. After a successful launch last year, we are hosting the event again and tickets are available for £100. There are a limited amount of tickets so make sure you book early to avoid disappointment.